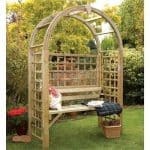 If you are looking for an effective and stylish seating area for you or guests to enjoy then this is a superb looking corner arbour which offers good shade from sun and is comfortable enough for 2 or 3 people to enjoy some relaxation and a chat. 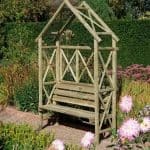 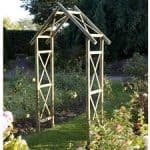 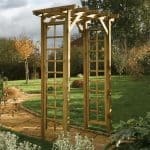 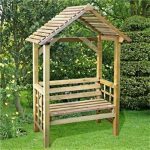 It will make a real feature in any garden and has beautiful lattice sides and a slatted roof, it’s perfect for a garden corner and works just as well in a modern or traditional setting. 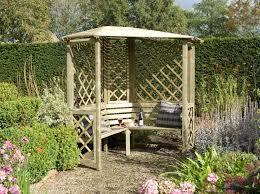 This piece will turn heads and you’ll be delighted with your wise choice. 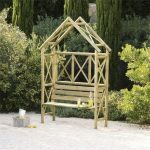 This is home delivered and assembled for your convenience.